Whether your Henderson home is a spacious colonial classic or a handsome Craftsman, your gutter system protects it in generally one way – by channeling rainwater from the house. But not all gutters are equally effective at doing that. For instance, if your gutter is damaged or leaking, spillover is quite likely. Furthermore, some gutter styles are simply more dependable than others. The same can be said about gutter contractors. But if you want reliable, cost-effective gutters installed by a reputable contractor with a stellar record of customer satisfaction, there’s really only one area company that fits the bill: 31-W Insulation. Plus, you will have full assurance that your investment is protected as our seamless gutters are backed by a limited manufacturer’s warranty. 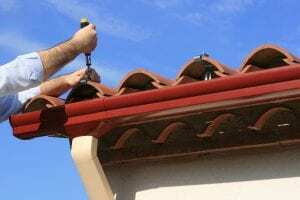 If you would like more information about our seamless gutters, or more reasons why we are the top gutter contractors in Henderson, contact 31-W Insulation today to schedule a free consultation at your home.